I came to Berlin in September to help design a university with new learning model. Last week we closed the first year with the first class. We worked together with 10 students who facilitated an ideation workshop with 10 corporate partners on what projects we want to collaborate. Most importantly, what draws meaning to them. How your products – services can amplify qualities of sustainability in the experience economy. Open to any company that wants to learn about a new paradigm of designing for sustainability & impact in the age of emerging tech. Can't wait to meet the community out there! What happens when teachers from all over the world come together to discover how simple creative problem solving can change the conditions of their own teaching context? What happens when they learn to connect deeper to their local communities and undercurrent challenges? What happens when school teachers facilitate students to explore their local communities through simple design tools? Some of the questions I will be exploring in Luxor Egypt this month with a group of stellar designers and facilitators. Facilitated by senior designers & educators with a solid worldview. <3 I cant wait to see what unravels with this group of people. My talk shares insights on why Designers should empower people not formally trained as designers, to design themselves. Another drop of PhD research. Super excited to see so many design discussions on this menu! Looking forward to speak and share my research outcome at the World Design Summit, 18th October 2017, Montreal Canada. In the track 'Design for Beauty' my talk will be based on the framework 'qualities of sustainability' and I will share examples of small businesses I worked with during the research and how these foster qualities of sustainability through their communications. What is she doing now that she is here? A thought to share that I am excitingly exploring new professional adventures! Over the last few weeks, after completing my PhD thesis, I took my time to transition. Now, I have opened up more space for collaborations, new business and to co-create meaning. This note serves to share the things I am creating and the opportunities I am seeking as designer-researcher. Here is an invitation. Excited to join Five by Five as a Mentor to the fellows exploring solutions towards major challenges in Metro Manila, Philippines. What happens when bright young minds are given two weeks of funding, tools, space and mentorship to start prototyping the change they want to see in their city? An international innovation consultancy, with one foot in the world of large organizations and the other in that of startups. We help organizations of all stripes--corporates, international organizations and government institutions--understand how startups work, how to work with them and how to work like them. Our portfolio includes blue chip players such as Google, SNCF, BNP Paribas and The World Bank. Future of Women profiles and celebrates inspiring, creative, and adventurous women around the world. Through photographs and film, we feature incredible women on every continent — women exploring new frontiers in food, tech, sports, media, music, theater, art, and science. After 13 months writing and challenged by my dyslexia, amongst life's eventful forces, the thesis was finally complete and submitted at Central Saint Martins College of Art and Design. 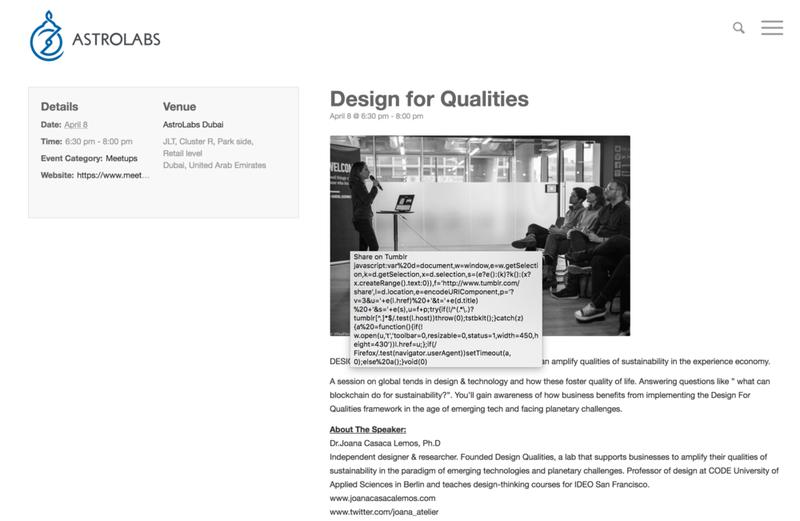 "Design for Communication: a collaborative practice to amplify the qualities of sustainability." A research degree project at the cross of communication design and social innovation for sustainability, strategy, design thinking, co-creation methods. Defence will happen in September and my examiners will be Paul Micklethwaite and Peter Hall. Sharing the key research outcomes with a collective of impact driven businesses. Many businesses today have at heart principles of impact, whether social, environmental, cultural or ethical. Such principles often are (and should be) embedded in the business service model to become seamless. More often, we find these principles make up components of the brand and communications to public. This session will overview insights from a four-year research project in communication design and sustainability. It will share examples of best practices in experiential communication design from businesses around the world in the area of sustainable food innovation across various cities (London, San francisco, Lisbon, Berlin, Amsterdam, Mumbai). 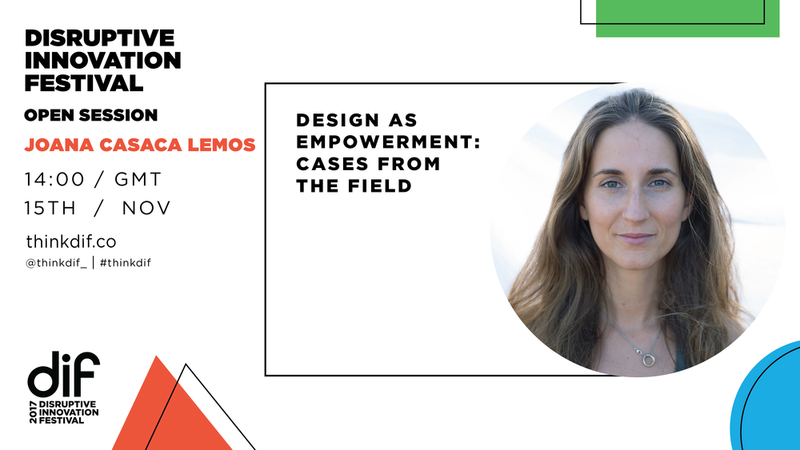 Joana Casaca Lemos is a hybrid design strategist. Working at the intersection of communications, co-creation methods and sustainability as flourishing. A PhD in design research at Central Saint Martins London (2017) and creator of 'Communications Assembly', a method developed to empower small-scale biz. She runs a location independent practice and collaborates with various organisations, facilitates trainings in design for the likes of, General Assembly, National Institute of Design India and Designmatters California. An ambassador of Sandbox Network and fellow of the Royal Society of Arts. Joana is a communication designer and PhD in design research at Central Saint Martins. 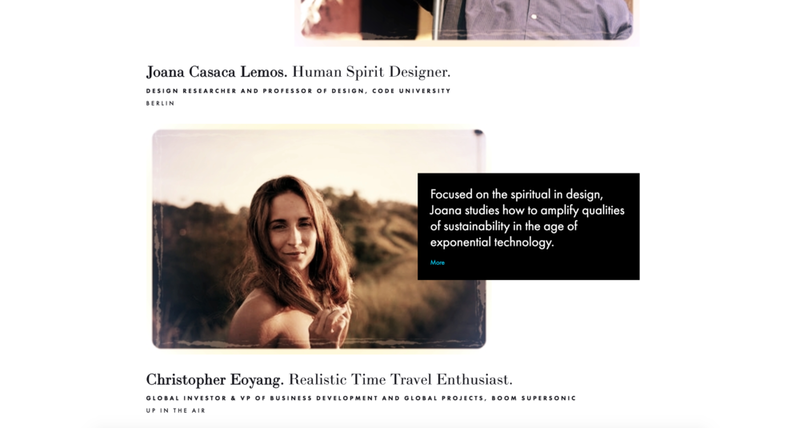 Her practice focuses on communications, sustainability and co-creation. On her journey she’s worked with an eclectic range of people from coffee farmers to nanotech startups. She’s had the pleasure to collaborate with Doi Tung Sustainable Development in Thailand, Green School in Bali, Forum for the Future, Hyper Island, General Assembly, IDEO U and Tate Modern. Alongside, volunteer mentor to young women in conflict zones at WEDU, ambassador of Thousand Network, and fellow of the Royal Society of Arts. She is the author of “Assemblage”, the communications strategy tool designed to empower small-scale businesses. As a hybrid in design & philosophy, she advocates for nomadism, sustainable futures and the human spirit by exploring “Design Dharma”. At Creative Mornings under the theme Moments, she will unravel a series of epiphanies emerged out of commitment to a four-year solo research project with 20 start-ups across 3 continents. The conundrum of research as a mesearch: the process of design and the process of becoming. Hi folks! As per usual doors open at 8.30 for coffee, breakfast and chats and the talk kicks off at 9am sharp! I was interviewed for Central Saint Martins publication The Cross+ng and got to say a couple things relevant for the Now. "There is what I call 'design intelligence' which is not something that you can download or buy as a kit. There is an intelligence in the design process that you can only learn through practice, over and over again. That takes time and cannot be replaced"
"If we grow a distance between Designers and the World then we undermine their very reason for existing!"